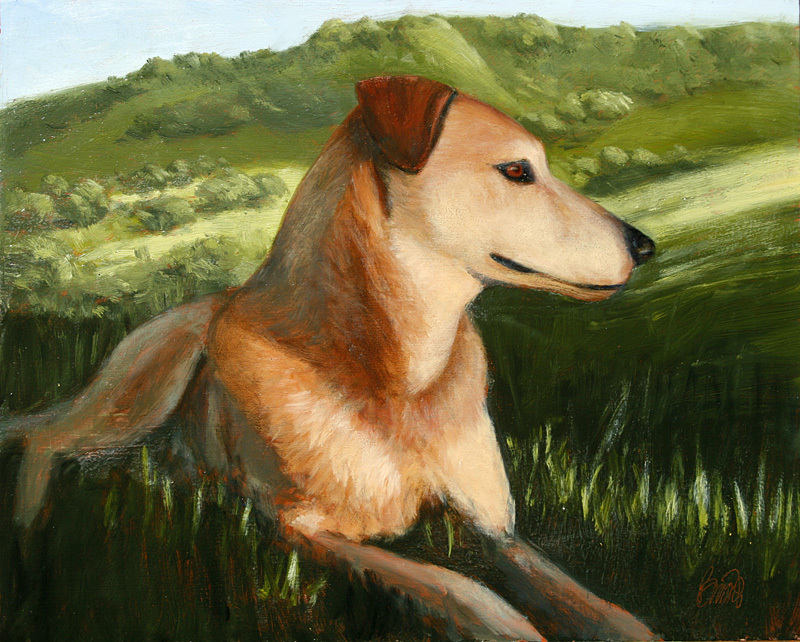 Here is a look at a family dog portrait for a friend. I need let it set now for a while and take a look back at it when it is good and dry and out of my head. I will add some more detail to the his eyes and put some lowlights in where they are needed. That is VERY nice Rich…I love it! Do you do Chickens?